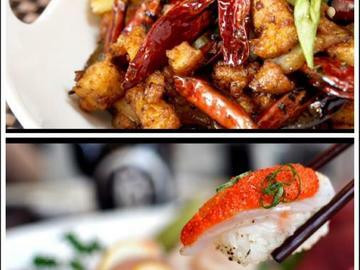 $15 for $30 Worth of Sushi, Chinese Cuisine, and Drinks at Koi in Evanston! VALID FOR REDEMPTION FOR THE MONTH OF NOVEMBER 24TH 2017 - JANUARY 15TH 2018. NOT VALIDE ON CHRISTMAS EVE, CHRISTMAS DAY, NEW YEARS EVE, NEW YEARS DAY. NOT VALID WITH ANY OTHER COUPONS, HAPPY HOUIR DEALS AND OTHER DISCOUNTS. DINE IN ONLY. Please note there is a $1.30 processing fee from Ticketleap. Koi does not recieve any of the fee. VALID FOR REDEMPTION FOR THE MONTH OF NOVEMBER 24TH 2017 - JANUARY 15TH 2018. Limit one per table. Dine-in only. Must use in one visit. Not valid with other offers or promotions. Tax and gratuity not included.